Fujian Province, with its capital Fuzhou, is on China's southeastern coast. It faces the island province of Taiwan across Taiwan Strait to the east. Neighboring provinces are Zhejiang to the north, Jiangxi to the west, and Guangdong to the south. It occupies an area of around 120,000 square kilometers (about 46,335 square miles). Its permanent resident population is slightly above 34.7 million. Many minority ethnic groups live in this province: Hui, Miao and Manchu. It has a year-round warm and humid climate. Annual average rainfall ranges from a low of 1,400 mm to a high of 2,000 mm, and annual average temperature from a low of 17 C to a high of 21 C. It is hospitable in all seasons for travelers in this province. Fujian is blessed with a rich history, famous historical sites and beautiful natural landscapes. These make Fujian a unique tourist attraction. However, it is not yet a much worn traveler's path. Mount Wuyi (Wu Yi Shan) may enlighten you with its wonderland tour. Its beautiful mountains, vigorous rocks and limpid waters are legendary. Gulangyu Island, also called "the Garden on the Sea" by people in Xiamen, is a world of sea breezes, sunshine and exotic architecture with a Mediterranean flavor. Nanputuo Temple, among the four well-known Buddhist shrines in the nation, has the longest and most prestigious history. 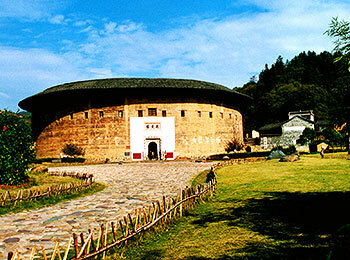 Fujian Tulou in Yongding area are the much fabled mountain residences in this world of make believe. The industrious and facile Hui'an women in the south of Fujian add much to their folk customs. The Kaiyuan Temple looks splendid, glittering and grand despite its age. Fujian also is a place where famous national heroes like Lin Zexu and Zheng Chenggong lived and won their seats of honor in history books. Oolong tea produced in Fujian is famous, so if you have a chance to visit this province, you must taste it there with relish. How do i get to Shaxian County, Fujian Province coming from either Guangzhou or Shanghai? I am travelling to Shaxian City from Africa, which travel options do i have? From Guangzhou, Tianhe Bus Station has one schedule to Shaxian departed at 14:00; Guangzhou Bus Station also has one scheduled at 14:50. From Shanghai, there is no direct bus or train. Thus you are advised to go to Guangzhou first. Yes, you need to apply for a visa in advance. 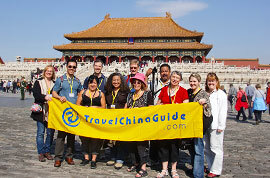 Do I need a visa to stay 6 days in Xiamen? I’m coming from the US.